ANCIENT MODELS IN THE EARLY MODERN REPUBLICAN IMAGINATION, Brill, 2017. This edited volume approaches the early modern republican political imagination from a fresh perspective. While most scholars agree on the importance of the classical world to early modern republican theorists, its role is all too often described in rather abstract and general terms such as “classical republicanism” or the “neo-roman theory of free states”. 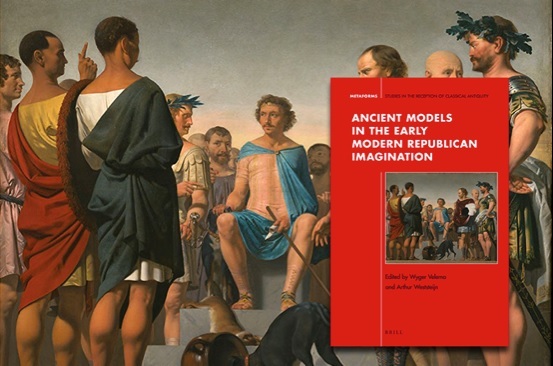 The contributions to this volume propose a different approach and all focus on the specific ways in which ancient republics such as Rome, Athens, Sparta, and the Hebrew Republic served as models for early modern republican thought. The result is a novel interpretation of the impact of antiquity on early modern republicanism.